Drug issues continue to contribute to crime on all islands, and that includes the Big Island. 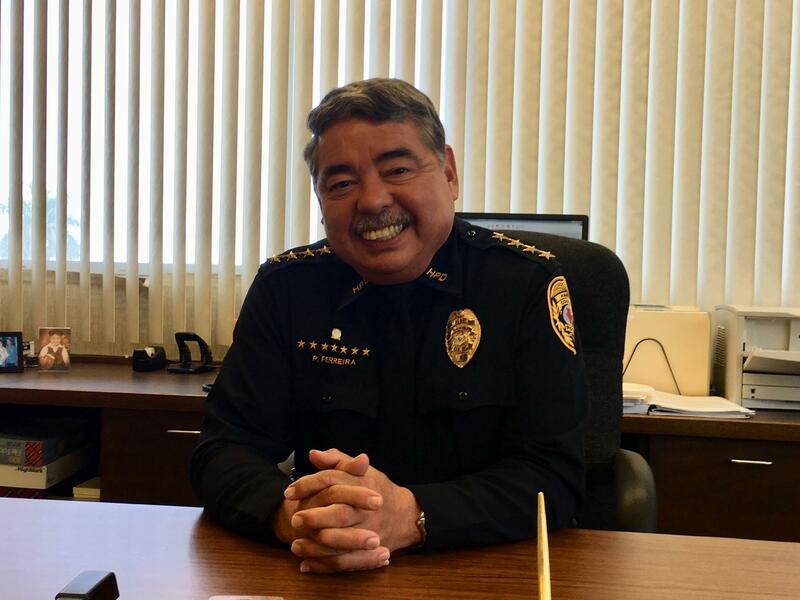 Contributing reporter Sherry Bracken talked with Hawai'i County’s Police Chief to find out what he sees as the biggest drug issues on Hawai'i Island. Hawai'i County Police Chief Paul Ferreira says illegal drugs can impact related crimes from burglary to impaired driving. And while there is much discussion nationally about opioids, Chief Ferreira says opioids are not the biggest drug problem in Hawai'i. “Right now, if you look across the state, crystal meth is the biggest threat that we have. After that it’s marijuana. After that it’s heroin and cocaine. Opioids has not hit the state of Hawai'i yet. We’re trying to get ahead of the curve." Chief Ferreira says there are two different task forces in the state, with law enforcement chiefs, federal partners including the DEA and the FBI, and the State Department of Health, all trying to prevent Hawai'i from suffering the impacts of the opioid crisis being felt on the mainland. Chief Ferreira says regarding crystal methamphetamine, there was a big push around 2005 to address the problem, close ice houses, and it temporarily died down—but it never went away. He says no meth is being made on the island now, and all comes in from elsewhere. His department works closely with federal partners and also monitors the Hilo and Kona airports and shipping companies to help stop the inflow of meth. The State Legislature is considering a bill to ban two sunscreen ingredients over concerns they harm the state’s reefs. But not everybody agrees that’s the right thing to do. Contributing reporter Sherry Bracken has more from Hawai‘i Island. It was six months ago today that Hurricane Maria slammed into Puerto Rico. Today, there are still communities on the islands that either have no power or only intermittent electricity. One question for the state of Hawai‘i: how would our islands fare if we faced a similar situation? HPR Contributing Reporter Sherry Bracken took that question to power company officials on the Big Island to learn more. Hawai‘i Public Radio has learned that the Hawai‘i County Police Department is missing some illegal drugs from its evidence room. Police Chief Paul Ferreira says the case involves cocaine and hashish. The investigation has now been referred to the county prosecutor and the case is continuing to develop. HPR contributing reporter Sherry Bracken has the exclusive story from Hawai‘i Island.